The characters discover another stowaway on board. This one has far fewer skills and is much less likely to join the crew. Ore Slugs can be used as a random encounter independent of the adventure arc on Elysium, as I'm sure the characters won't be the first ones to jettison an Ore Slug into space. In that case, this adventure could be the hook that brings the characters to Elysium to run into Alexis Vesper and start the rest of the adventure arc. Ore Slugs first appeared in Fixing the Factory, where they were used by the Marconi family to trash the Vesper factory. Maybe the Marconis decided to give the characters a little bon voyage present on their way off of Elysium. Or maybe someone decides to keep one as a pet and it breaks free on board. Ore Slugs eat metal and lots of it. A single slug can eat through about a pound of metal an hour. With a 10 hour head start, an Ore Slug could cause a hull breach before anyone knew they were on board. Having a sudden hull breach would be one way to announce the presence of stowaways to the characters. Roll 1d to determine how many Ore Slugs are on board the characters' ship. If the characters have any precious metals in their ship's hold, that would attract the Ore Slugs' far more than the hull would. If allowed to eat for a standard day, they will be full enough to reproduce. A day after that there will be hundreds of tiny Ore Slugs attempting to devour the ship. If the bridge or computer core is close to the hold, they would eat the precious metals in the computer hardware, causing a computer failure - not the thing you want to have happen in jumpspace. The same methods of capture apply here as they did in the factory. 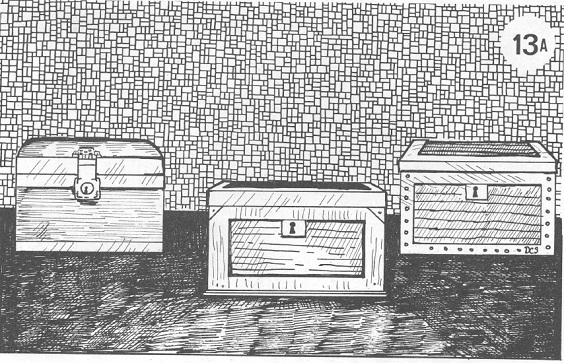 Glass enclosures work well, and baiting a trap with precious metals would bring them all out of the woodwork. They're a protected species on Elysium, so there will be consequences if they're killed or thrown out of an airlock and anyone on Elysium finds out. Returning the Ore Slugs to Elysium will be a diplomatic matter as well, since they're illegal to remove from their preserve on the southern continent. If reports are filed and if Alexis will vouch for the characters (if she's on board at that point), the characters will be freed after only a week-long detainment for intense questioning. The characters can keep an Ore Slug as a pet. It may escape and threaten the ship, or someone who recognizes it will eventually call the authorities and the characters will be hunted down and returned to Elysium. If it escapes on a new planet, especially on metal-rich worlds, the characters will likely be the only common link between Elysium and the world with the outbreak. The Ore Slug population gains two orders of magnitude every 2 standard days, so in 6 days there will be a million Ore Slugs devouring all the metal they can find - 20 million pounds of metal in the next day before the reproduction cycle repeats. If the characters are found as the cause of the outbreak, they will be hunted mercilessly because it's exceedingly difficult to repay an interstellar corporation or a world government for destroying an entire world. If the characters manage to herd the Ore Slugs into the airlock, they won't explode in vacuum. They'll wrap themselves into balls and float around dormant, waiting to bump into a ship so they can feed and breed. It may be years before an Ore Slug outbreak happens, but find a way to get that news back to the characters so they can ask themselves if they caused it. Return to the Traveller Adventure Cover Page.